Sewanhaka, often translated as the “Island of Shells,” is the Dutch/Indian name for Long Island, which is where owner Geoffrey Gilbert spent his first 18 years, before moving to Austin in 1981. The word came from the Native American industry of manufacturing beads and other ornaments from shells. The Algonquin people bestowed upon us three principle words, each being derived from this industry. They are mientanawack (the material used), seawanhackay (the finished article ready for sale), and pnumanack (the tax or wampum that they were obligated to pay). 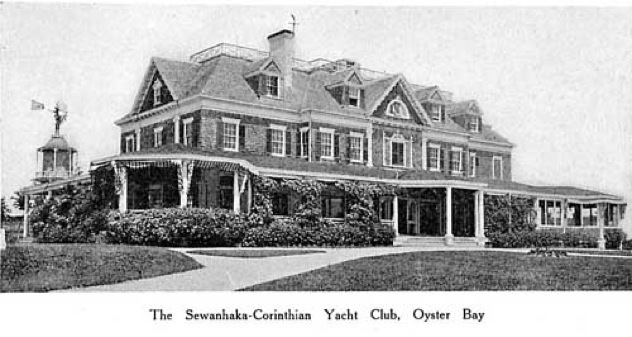 The yacht club below is where Geoffrey learned to sail, and this clubhouse is one of his primary architectural inspirations.